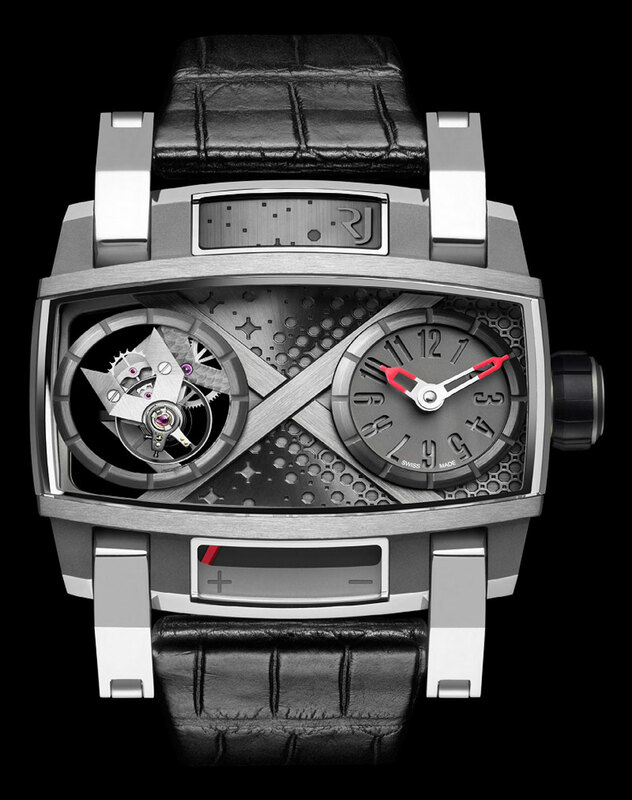 Beside Spacecraft watch, Moon Invaders, Liberty DNA, Titanic-inspired and more, the Swiss luxury watchmaker, RJ-Romain Jerome has introduced its new watch, the Moon Orbiter. 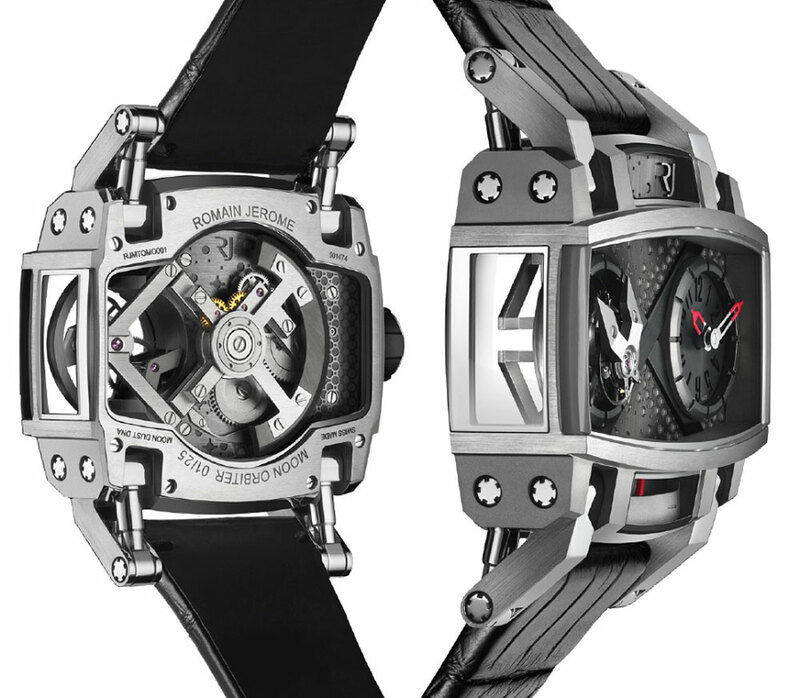 It has a distinctive look unlike traditional watches, and comes with a flying tourbillon manufacture movement. Available in Europe, Middle East, and Asia, this exquisite watch with a price of $115,000 will be made in limited edition of just 25 copies. The Moon Orbiter with its rectangular dial truly resembles a gear, out from a sci-fi flick. The watch is an amalgam of components that perfectly fits in its case in a very fascinating manner, such as the sub dials placed at, 3 o’clock hours and minutes dial, 6 o’clock, 42-hour power reserve indicator, 9 o’clock, the flying tourbillon dial, and at 12 o’clock, the brand monogram engraved dial. 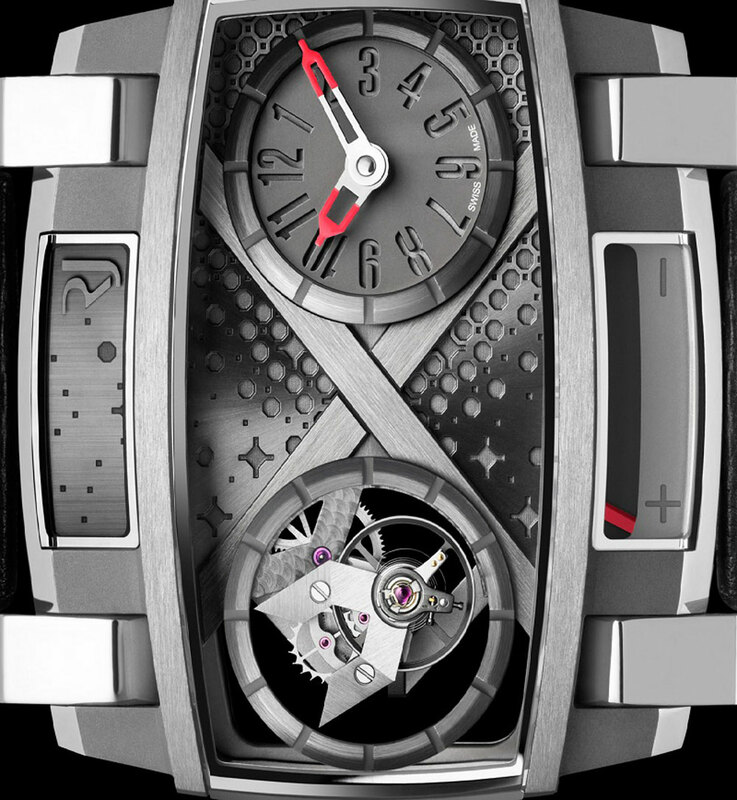 The Moon Orbiter also boasts, the geometrical design inclusive of the brand’s signature, satin-brushed cross-strut traverses, the five shaped sapphire crystals fitted all around the case, the bezel-free case with steel from Apollo 11, black alligator leather strap with pin buckle fastening.